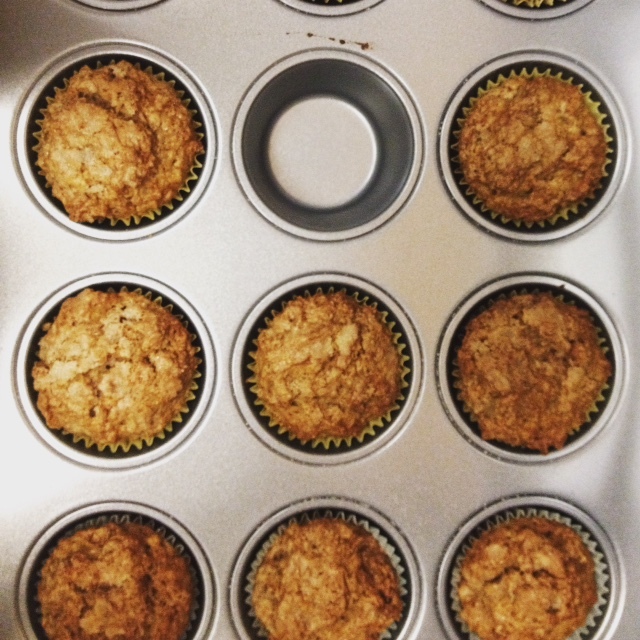 In the past month I’ve made apple cake, apple sauce, and apple sauce muffins. 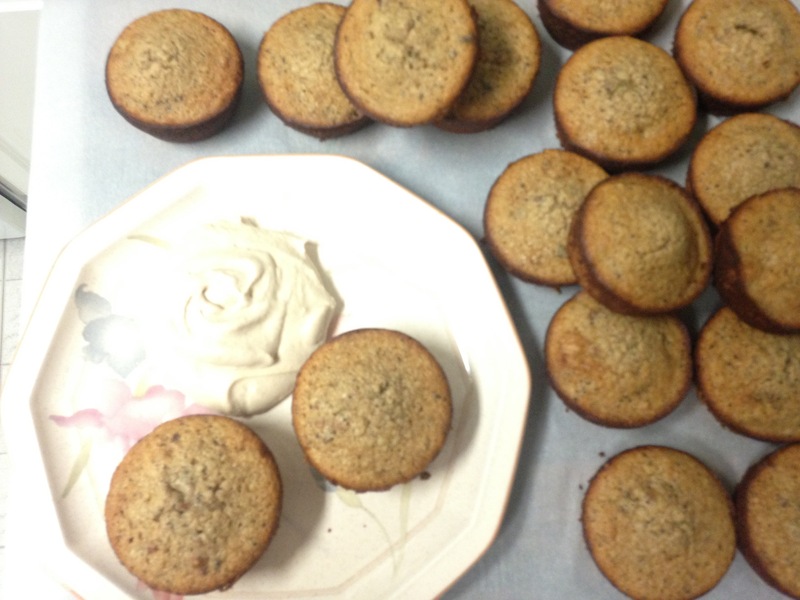 The apple sauce was technically for the muffins. I guess that makes sense. I’ll provide you with the apple sauce recipe, since it was super easy. Add water and apples to a medium – ish pot and bring to a boil. 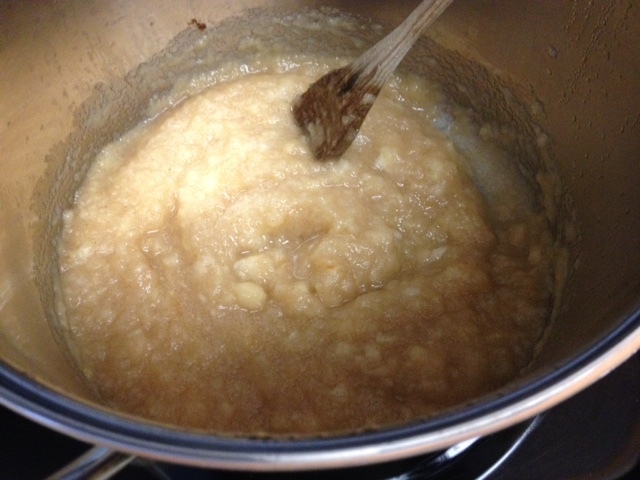 Simmer, partially covered until apples are soft. Mash with a fork and add cinnamon and sugar. I add a couple of tablespoons of sugar to mine and a bunch of cinnamon. I’m a cinnamon fanatic and my apples were a little too tart for my liking. While Williams – Sonoma recommended granny smith apples or McIntosh. I might go with Fuji or golden delicious. Sweet ones. Other than that, I liked the recipe and it was really easy to make. Added bonus: the kitchen smelled amazing. 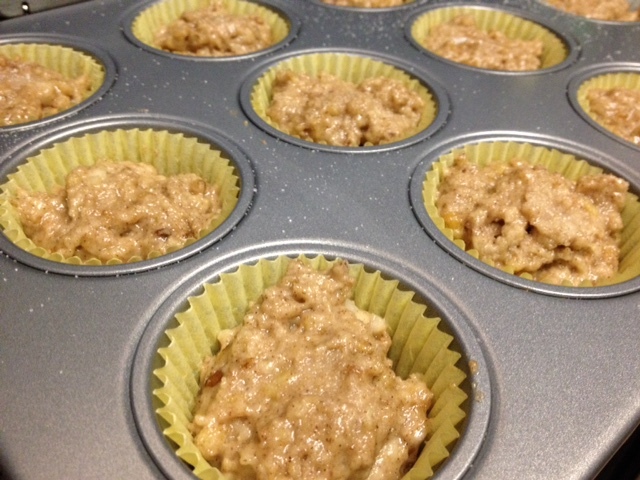 Also, kind of from the same recipe were the Apple Sauce muffins. I love almost everything apple, so this seemed right up my alley. I was suspicious of making apple sauce instead of just buying it. I’m still not sure there was a big enough taste difference to warrant making it yourself, especially since it was going in a muffin. Anyway, recipe was decently easy. My bar of easiness has changed drastically after my ventures with the Laduree cookbook. But I think these were legitimately easy enough to make. That being said, mine came out kind of dry and dense. Not overly so, and they were still good. But I would prefer them to be much fluffier. I’m kind of wondering if I accidentally over baked them. I do have a tendency to do this, since I forget to set timers. Maybe you’ll have better luck? Now on to the apple cake, Apfelkuchen in German, because I know you were wondering. 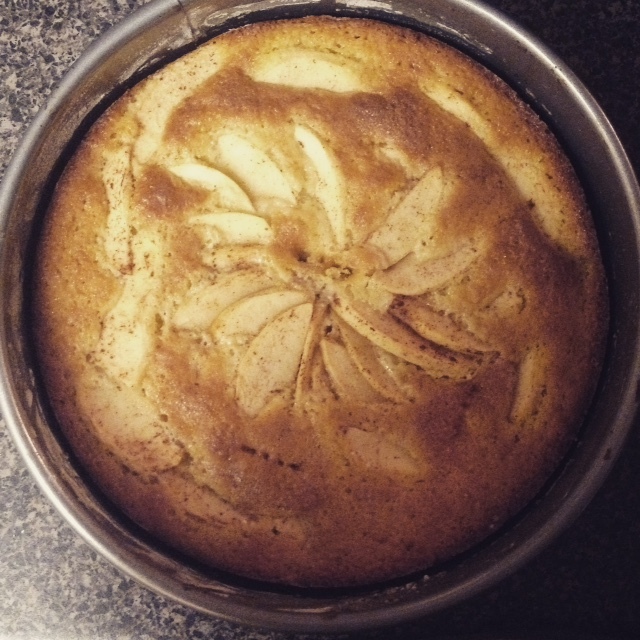 Apple Cake! You need this! Now, this cake is amazing. Absolutely amazing, scrumptious, delicious. I think I ate the whole thing in one day. If you plan on doing any baking this week or month, you must make this. It’s so easy to make, looks great, and tastes like apple heaven.